Pro Carpet Cleaning Brisbane provides carpet protection and cleaning solutions for residential and commercial properties. All carpets get dirty eventually. While there are many DIY carpet cleaning machines available, they don’t all provide lasting results. While some companies use strong cleaning chemicals, most dirt and grime can be removed with eco-friendly solutions. We use environment friendly bio degradable cleaning products so it’s safe for the whole family. Our hygienic systems effectively reduce mould, bacteria and dust mites which can effect allergy sufferers. We have built a strong reputation in the cleaning industry and strive to deliver quality services you can count on. Whether your carpets cleaned to get your bond refunded or it’s simply time for a spring clean, our cleaners are ready to help you. Our service areas include the Brisbane CBD, Northside, Southside, Western suburbs and all the way to the Gold Coast. Call the Brisbane carpet cleaners today to get your home looking fresh and clean. All professional carpet cleaning work is 100% guaranteed. Every Pro Carpet Cleaning Brisbane technician is professionally trained and highly experienced. We connect customers with certified cleaning professionals that offer effective long lasting results All contractors have public liability insurance to give you complete peace of mind. Find out why we are one of the best cleaning companies in the business. Contact the Brisbane carpet cleaning professionals for amazing results. We’ll perform a visual pre inspection n of the carpet and identify stains and provide an evaluation of results. Furniture will be moved as required. Carpets are pre-vacuumed to remove excess dry soil and debris from the surface. This also assists to open up carpet fibres. Specially formulated solutions are used to treat stained areas. A rotary brush is used to loosen soil prior to the steam clean process. Keeps your floors smelling fresh, removes odour and kills bacteria and fungi. The final step in the process is carpet grooming. This also helps reset the pile and promotes faster drying times. Your technician will walk inspect the rooms and make sure you are happy with the results. We stand by our satisfaction guarantee. The steam method uses hot water soil extraction method (also known as HWE). A hose nozel sprays heated water with added cleaning chemicals directly onto the floor. The truck mounted steam machine then simultaneously vacuums the liquid. The vacuuming removes any dissolved dirt that is in the carpet fibres. Steam cleaning is also known as deep cleaning for treating ground-in stains. So if you need to remove stains from heavily soiled carpets then look no further. We can remove stubborn stains with solutions that are safe for pets and children. Our free deodorising will help with any bad odour and pollutants. This carpet cleaning system uses a no-moisture or “very low moisture” (VLM) cleaning technique. Specialised truck mount or mobile machines use chemical products known as “dry” shampoos to clean carpets. The dry can remove stains, dirt and allergens effectively however we prefer steam cleaners as they perform better. Dust and dirt brought into your home also ends up on your upholstered furniture. DIY upholstery cleaning methods include sprinkling baking soda onto the furniture, after 15 minutes vacuum the particles away. If DIY systems don’t work you’ll need a professional upholstery clean. We use specialised hot water extraction equipment to remove bacteria and grime that is trapped inside the fabric. We don’t use any harsh chemicals or products so no sticky residue if left behind. If you want to save money you can try some home-made products. To guarantee no shrinkage, spot cleaning works quite well. However sometimes you need a deeper clean using stronger products. Our professional rug cleaners leave your rugs looking as good as new. For more delicate fibre we can send them to rug cleaning specialists which guarantees not to shrink or warp the shape of the rug. Wool rugs are sent to temperature controlled drying rooms We clean Oriental, Persian, and other precious rugs. We also different fibres including cotton, wool, silk, acrylic and nylon. Want your tiled areas looking like new again? The answer is to clean grout. Floor tiles resist grime and stains so washes off easily. But grout is porous and absorbs dirt and spills, so it’s easily stained. Our advanced tile and grout cleaning techniques are powerful enough to remove all discolouration. Not only do we offer carpet care to homeowners, we also cater for restaurants, offices, shopping centres and real estate agents. Commercial carpets experience heavier traffic than household carpets. Having an industrial strength cleaner is essential for long lasting results. We provide business owners with effective solutions without interfering with your staff and customers. Whether or a small office or large shopping centre, our system offers cleaner and healthier carpets. We also offer flood damage restoration. If water marks have damaged carpets we can restore them. Do you have a pest problem? Or need pest treatment when moving out of your rental property? Our certified pest management technicians are professionally licensed and qualified. Pest control solutions start from just $55 when part of a cleaning package. Pests we treat include dust mites, ticks, fleas, cockroaches, ants, spiders, rats, mice and termites. We use powerful environmentally friendly methods that are safe for pets. 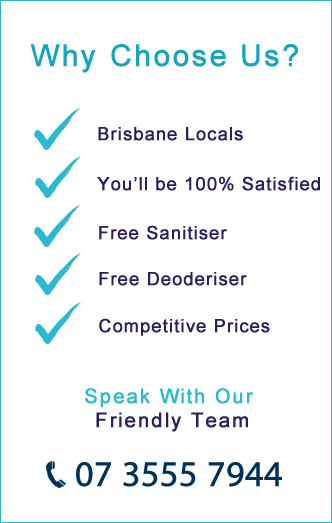 We provide the best cleaning deals Brisbane wide. Pricing includes GST. Per room $30 – $40. Two bedroom apartment $70 to $99. 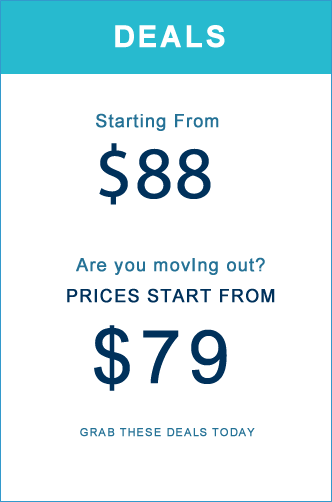 Three bedroom apartment $99 to $11. Two bedroom townhouse $100 – $140. Three bedroom townhouse $140 to $200. Non speciality $15 – $55 (depending on size). Special: With every 3 rooms cleaned we offer free spot treatment and odor removal to eliminate smells. Highly recommend you guys. We got a move out package with pest control and the results were excellent. Great value for money and we would trust you guys to do it all again next time. Very happy customer, thank you. The results exceeded our expectations. The floors came up better than when we moved in. Also got upholstery cleaned as the lounge was filthy. I’m amazed it turned out so well. I’ve already recommended you to our next door neighbour. Awesome work and we’ll see you in 6 months. Servicing areas across Brisbane 4000 and surrounding suburbs. Pro Carpet Cleaning Brisbane is one of the leading carpet care contractors in South East Qld. We guarantee our qualified and friendly team have the expertise and equipment to do get any job done – on time and on budget. If you are looking for a free quote then contact us today. Phone us on 07 3555 7944. For a fast no obligation free quote please complete your details into the form below and one of our staff will get back to you immediately. Thank you!